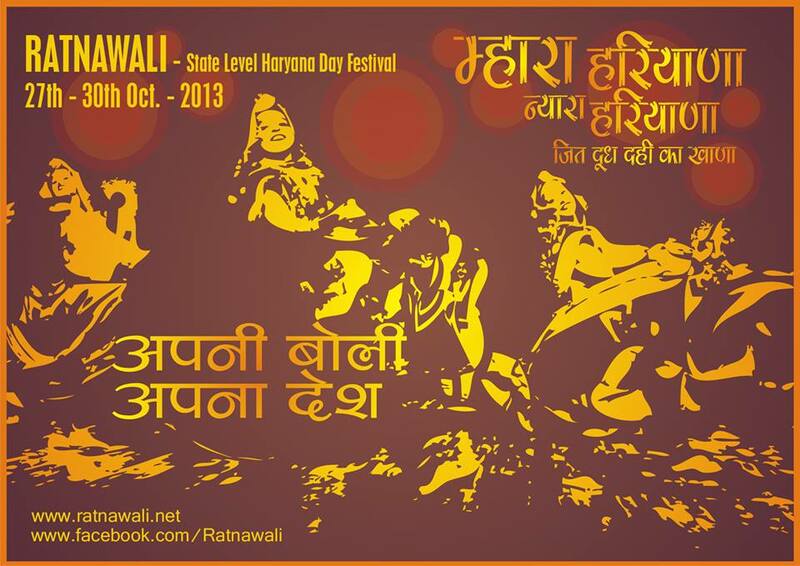 Here comes another prodigy (KUMBH) of Haryanvi Culture Empowerment and Preservation to be held in mesmerising campus of Kurukshetra University from 27th to 30th October 2013. It has now become a traditional celebration to cradle our culture with our own hands on holy occasion of every 1st November, the reorganization Day of Haryana, so don't forget to witness the heat......sensualize the zeal and zest for culture with Nidana Heights here! "A Tale of Haryanvi Culture Empowerment"
In this festival all Haryanvi Languages and dialects such as Ahirwati, Mewati, Jattu, Bangaro, Bagri, Kauravi, Brij etc will be included in Haryanvi language. The lodging arrangements for the out-station participants/Incharges will be made by the University. The prize winning teams i.e. first & second short listed by the DYCA for performance will have to give their performance on 30th Oct at the time of Prize Distribution Function. The last date for the receipt of entries complete in all respects is 25th October 2013. 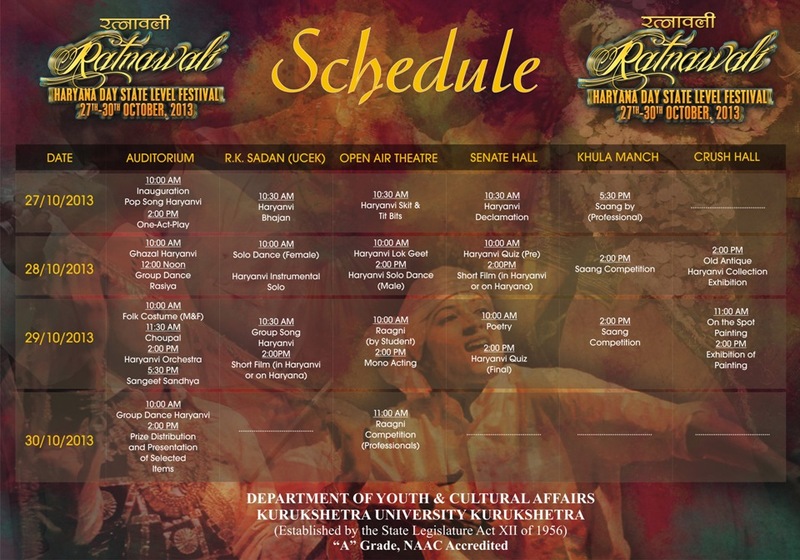 Note: Please be in touch with "Director - Department of Youth & Cultural Affairs, KUK" for any last moment change in any of the schedule. This information is published here as a gesture of cultural promotion and appreciation, which is also the base, belief, mission and utmost love of Nidana Heights.